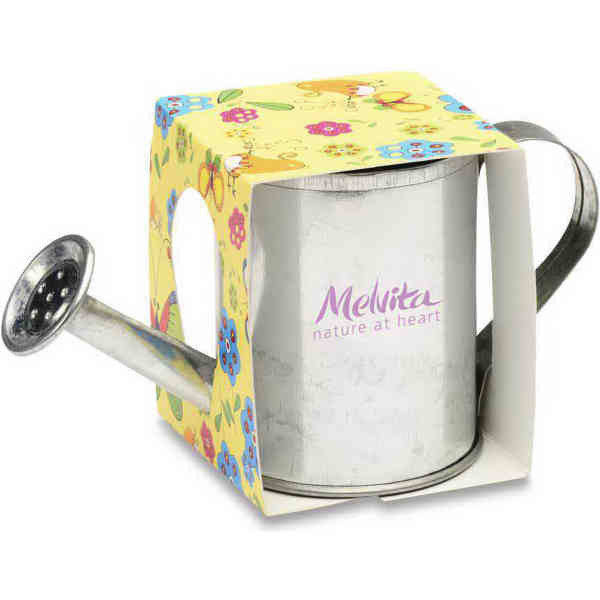 This special metal mini watering can planter contains everything you need to grow both flowers and herbs. This handy promotional kit features a can planter, a soil disk, seeds and instructions, all presented in an attractive sleeve. Simply add water, sun and watch it grow. It measures 4 1/2"W x 2 5/8"H x 2"D and comes with several available seed instructions. Add your custom imprint and create the ideal springtime giveaway for a variety of promotional events! Size: 4 1/2 " x 2 5/8 " x 2 "
Price Includes: Add 10% per seed change (50 piece minimum per seed).